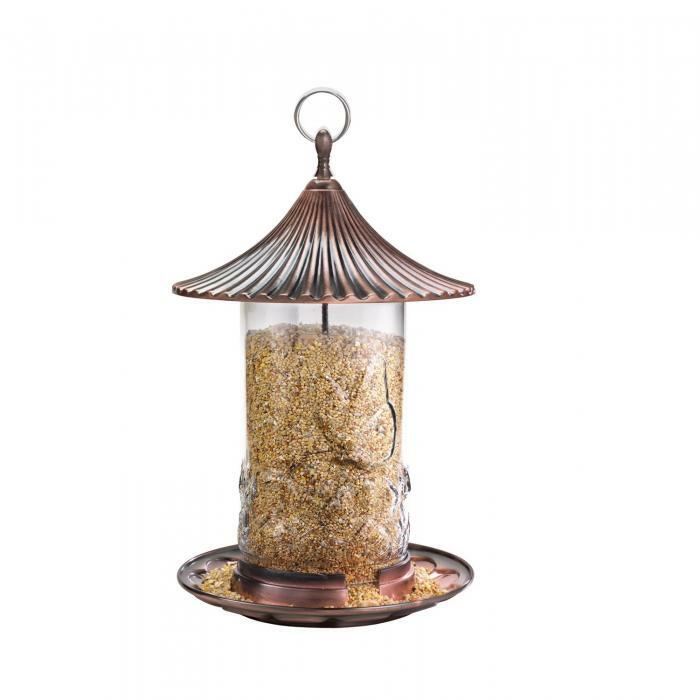 The High Capacity Feeder has a decorative glass seed chamber emobssed with a butterfly and a beautiful brushed copper roof and base. The perching tray is large with room for multiple birds to feed at once. It holds 2.3 qts (approx. 2.9 lbs) of seed.